The 9th Annual Casino Night held Feb. 9 at the Sedona Hub featured food, gaming tables, dancing, and music by an Elvis impersonator. 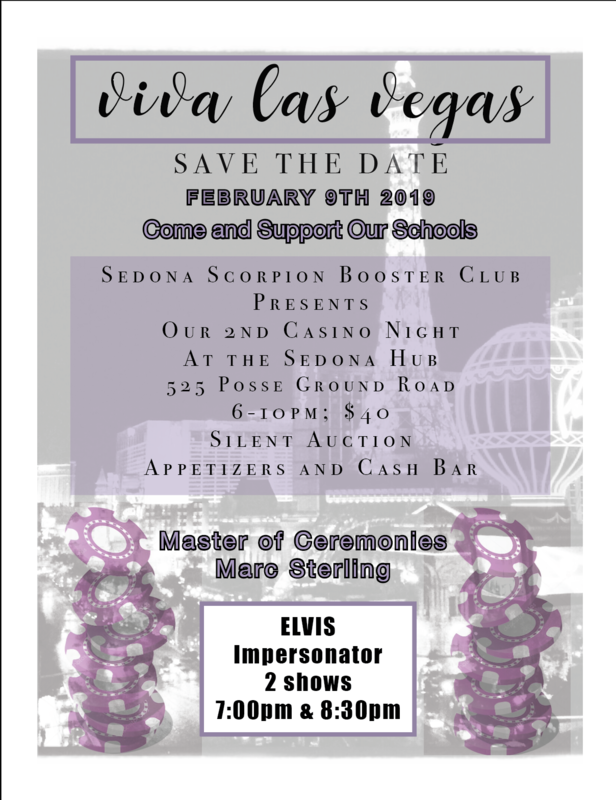 The event, co-sponsored by Sedona Scorpion Booster Club and Rotary Club of Sedona, estimates raising about $20,000 to benefit academics, arts, and athletics for junior and senior high school students. Jennette Bill said she and Club President Holli Ploog are very proud of club members who participated. "Thank you all for your contributions. We truly make a difference in our community and it is noticed and appreciated."